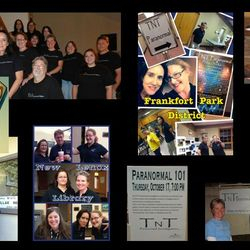 Welcome to the official site of TnT Paranormal Investigators LLC! 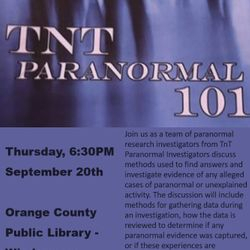 We never charge a client for an investigation! 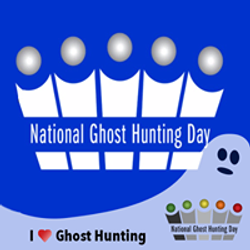 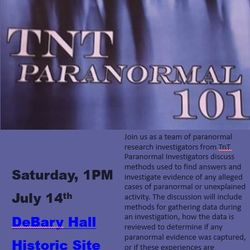 This is the official website of TnT Paranormal InvestigatorsLLC and TnT Paranormal Network. 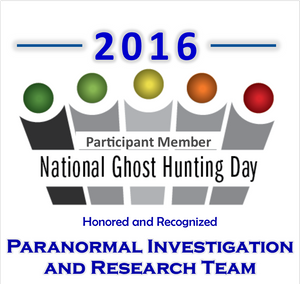 We have chapters in Central FL and St Louis, MO. 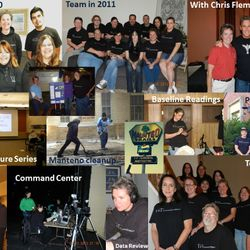 To learn more about us please visit our About page. 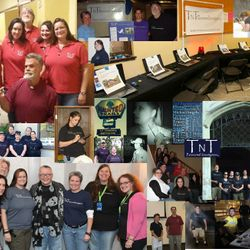 How to reach us: If you require an investigation, have a question about the paranormal, or have a general inquiry about the team, paranormal, or TnT Paranormal Netowk feel free to fill out the Contact Us form or send us an email. 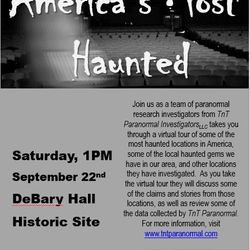 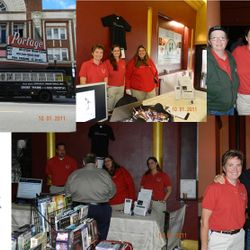 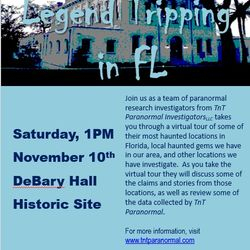 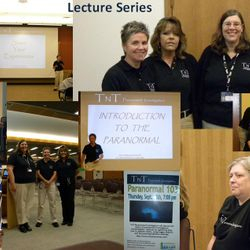 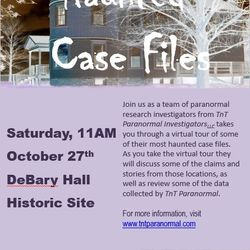 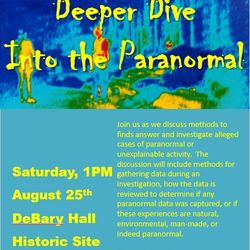 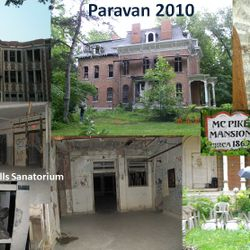 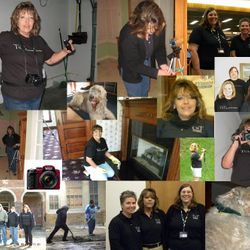 If you wish to schedule us for an Event whether it be the Paranormal Lecture Series, Guest Speaker at a paracon, assistance with a fundraiser or cleanup, or setup an Investigate with Event please fill out the Event Request Form. 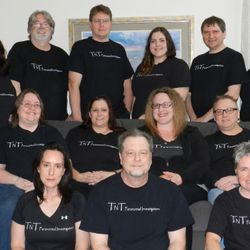 Social Media and Other Key Information: Feel free to visit our team Facebook page or follow us on Twitter, Instagram, Periscope (@TnTParanormal), and Youtube. 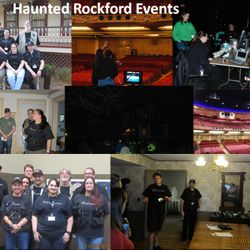 If you would like to signup for our to receive email announcements click here or email us and say "Opt In for Distribution List" in the subject line. 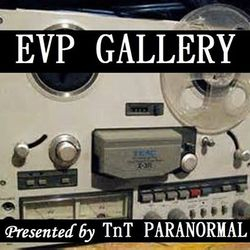 02/11/2019 - Lead Investigator Melissa Tanner was the Guest Investigator on Episode #5 of the Supernatural Symposium. 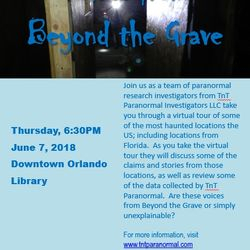 To watch the episode click here. 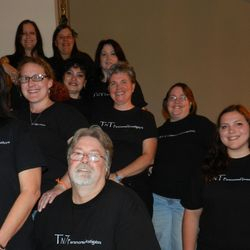 Team founded in 2009 and officially became an LLC in 2010. 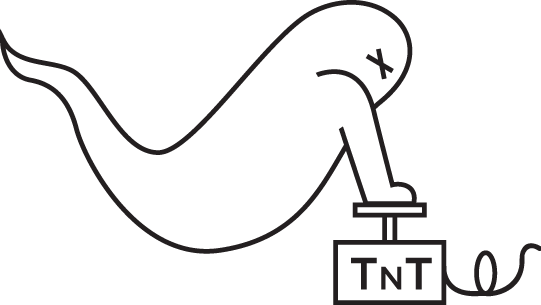 DISCLAIMER - Click here to read our disclaimer. 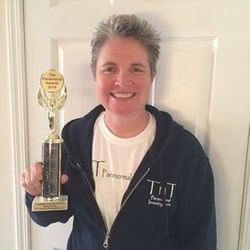 Founder and lead investigator, Melissa Tanner, was awarded the 2014 Investigator of the Year. 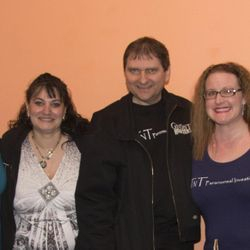 Happy 4th Birthday TnT Paranormal! 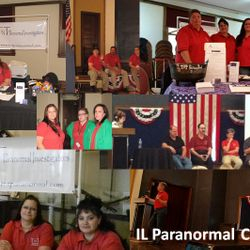 Serving the following IL suburbs (but not limited too): Acorn, Addition, Alsip, Merrionette Park , Arlington Heights, Bartlett, Bedford Park, Bellwood, Bensenville, Berkeley, Berwyn, Bloomingdale, Blue Island , Bradford, Anderson, Oglesby, Bridgeview, Broadview, Brookfield, Carol Stream, Chicago Heights, Chicago, Chicago Ridge, Cicero, Crest Hill, Lockport, Crestwood, Crete, Des Plaines, Dolton, Downers Grove, Eisenhower, Elk Grove Village, Elmhurst, Elmwood Park, Evanston, Evergreen Park, Flossmoor, Forest Park, Fossil Ridge, Frankfort, Franklin Park, Glen Ellyn, Glencoe, Glenside, Glenview , Glenwood, Lynwood, Grande Prairie, Green Hills, Harvey, Hillside, Hodgkins, Homer Township, Hometown, Homewood, Indian Prairie, Itasca, Joliet, Justice, La Grange Park, Lagrange, Lemont, Lincolnwood, Lisle, Lombard, Lyons, Manhattan, Manteno, Matteson, Maywood, Mccook, Melrose Park, Midlothian, Mokena, Morton Grove, Mount Prospect, Naperville, New Lenox, Niles, North Riverside, Northbrook, Northlake, Oak Brook, Oak Park, Orland Park, Palatine, Palos Heights, Palos Park, Park Forest, Park Ridge, Plainfield, Streamwood, Prairie Trails, Prospect Heights, Richton Park, River Forest, River Grove, Riverdale, Riverside, Rolling Meadows, Roselle, Schaumburg, Schiller Park, Shorewood, Troy, Skokie, South Holland, Steger, South Chicago Heights, Stickney, Forest View, Summit , Thornton , Tinley Park, University Park, Villa Park, Lansing , Oak Lawn, Warrenville, Westchester , Westmont, Wheaton, Wilmette, Wilmington, Winfield, Winnetka, Northfield, Wood Dale, Woodridge, Worth, Elgin, Aurora, St. Charles, Hoffman Estates, Geneva, and Gurnee.